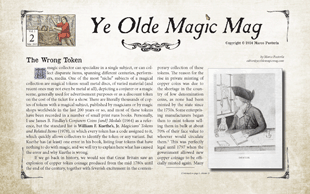 Thomas Denton and the magic tokens attributed to him… but are they true? 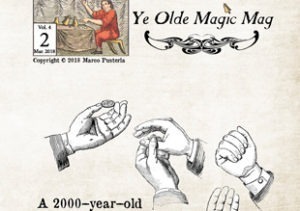 The Amazing Chang was the protégé of which magician in the first part of the 20th century? Was this mentoring true or just a lie? A previously unknown poster (thought lost) has finally surfaced: the only photo is in this issue! 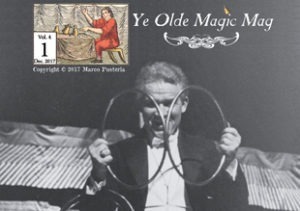 Our regular columns, Auction Action (looking at the most important magic auctions of the past three months) and Chewing the (magic) fat on the future of old magic, with reviews of three books on magic history. A limited edition of only 50 copies of the magazine is available for sale: it will be sent post-free worldwide, and you will be able to download IMMEDIATELY the FREE digital version. Due to changes in the European law on VAT on digital products, if you live in Europe, you cannot automatically buy ONLY the digital copy of the magazine (you will still get it free by buying a printed copy), but you will have to Contact Us to receive a PayPal invoice and the download link. Sorry for any inconvenience. As we don’t have the technology to verify if you live outside of Europe, if you want to buy ONLY the digital issue, please Contact Us. If you think this legislation is unjust, you may want to consider signing this petition. 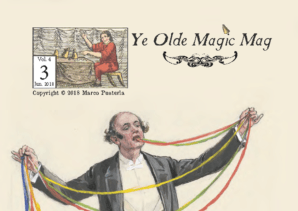 Issue 2 of Ye Olde Magic Mag is 12.3MB in size, has 35 pages and it contains almost 18,000 words. Download your copy now! 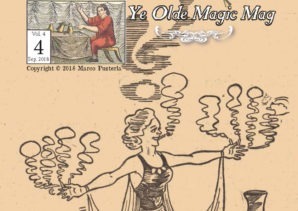 Ye Olde Magic Mag is the first fully-digital magazine on Magic History and on the collection of magical memorabilia, edited and published by Marco Pusterla, M.M.C. 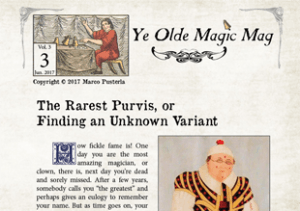 A quarterly publication, it is available in a small number of printed copies, and individually numbered and signed, for real collectors. 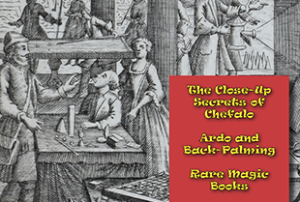 The printed version (48 pages long) allows access to the digital one and is shipped post-free worldwide! Enclosed to the printed edition is a small magical collectible, something exclusive and hard to find. You cannot reserve a number as they are assigned sequentially when you order a copy. There is no subscription for the magazine: you can buy only the issues you want, when they are released.